Traveling has never been easier and more affordable, thanks to so many factors that have contributed to the popularity of this activity. Whether you prefer to fly, take a boat, or drive, there is always something to discover. And speaking of driving, there is something to be said about taking to the road and enjoying the freedom that it offers. Going on a road trip – especially an extended one – is much better if you had the comforts of home. That’s where caravans and RVs come into the picture. I’ve always been a fan of them – what is cooler than lugging your home around with you as you bask in the pleasures of traveling? You decide what you want. You can eat, sleep, and go to the bathroom whenever. Of course, you cannot disregard some important considerations if you go for a caravan. First, you need to make sure you have a reliable unit. Your life will depend on it, after all! You also need to consult with caravan insurance experts – to cover any circumstance. And, just for fun, here are 4 caravans that deviate from the usual. 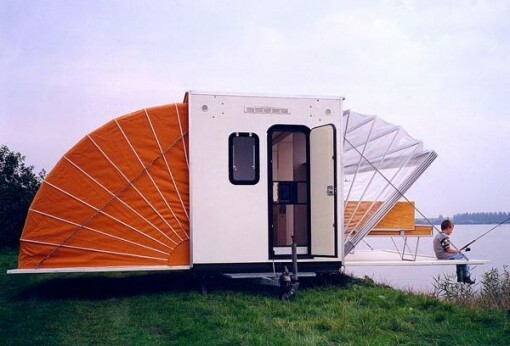 Even if you’re not really that into caravans, I am pretty sure you will be enticed to hit the road because of these unusual designs. Pictured above, the Tabbert Paganini is definitely not your ordinary caravan. In fact, the average traveler will probably never be able to get their hands on one, but it is free to dream! This caravan was designed with a billionaire (millionaire will do as well) bachelor in mind. 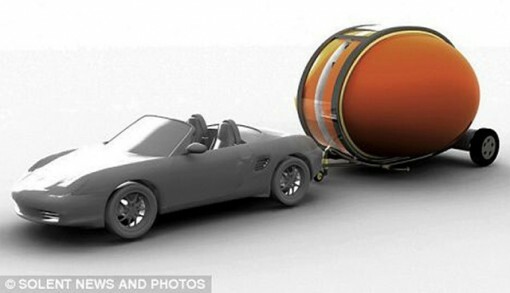 I may not be a bachelor, but I wouldn’t mind traveling in this box – if someone else will foot the $55,000 bill! From a classy mobile bachelor pad, we go to a funky eco-friendly camper. 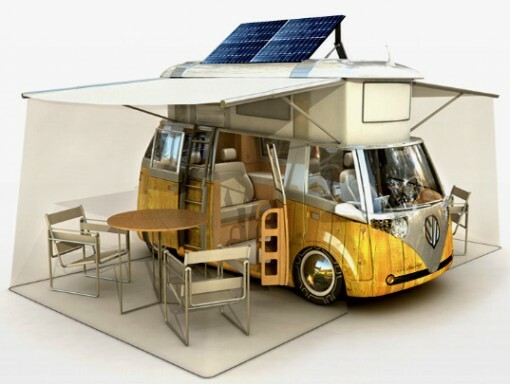 Obviously drawing inspiration from the classic Volkswagen van, this camper not only looks fun, but it also has lots of eco-friendly features. It has a hybrid engine and solar panels. I honestly just fell in love with how it looks. The main thing about caravans is that they are usually cramped. There’s no going around that – it’s a trade off we have to face. Or do we? The De Markies Expandable Caravan might have a solution, at least for when you set up camp. This caravan has “wings” that make the “box” roomier by around three times more. I have a feeling that Richard Hammond of Top Gear will give this a thumbs up! This caravan is for the other Top Gear guy, James May. Caravans are already limited in space, by definition, but if you need something even handier, then this pod caravan will do the trick. It may be tiny, but it sleeps two people and can even fit a fridge and TV. And of course, a kettle.